I am a complete convert when it comes to packing light and flying with a travel backpack as carry on. My first time travelling independently with a group of friends, I turned up at the airport with a huge, wheeled suitcase only to find everyone else carrying backpacks. “Where’s your stuff? !” I thought in utter amazement. We were only going on a two week surf trip to Costa Rica but I had packed my hairdryer, hair straighteners, every toiletry imaginable, enough clothes to sink a ship, and a foam roller! After nearly giving myself a hernia dragging that case up and down flights of steps and getting stuck in a gravel carpark, I saw the light. Everyone else moved effortlessly around with their backpacks, while I struggled and I hadn’t even used half of the things I’d taken. That trip taught me a valuable lesson in travelling only with what I really needed versus taking everything I thought I might need. On my last trip, I travelled in Asia for five months with nothing more than a 40 litre backpack and my surfboard. Transformation complete. Why Travel with a Carry On Backpack? I spent hours upon hours scouring the internet looking for the best carry on backpack and then trying on several models to find ‘the one’. Fortunately, each of the best packs have certain things in common. 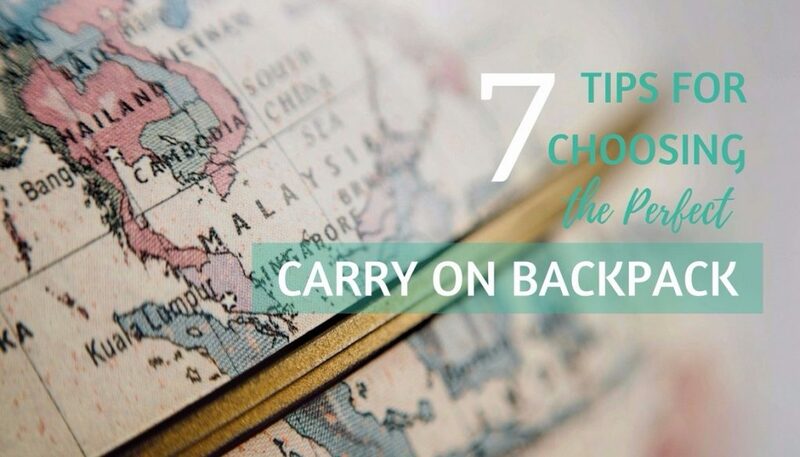 The following 7 tips will help you find a carry on backpack that’s perfect for you. If you want to take your travel backpack as carry on, the most important consideration is size. This guide from Samsonite lists the main airline’s cabin baggage allowances. Always check your airline’s specific allowances before flying, but as a general guide, 55cm x 35cm x 20 cm should work for most airlines. If you are close to the size limit, as a backpack is soft sided, you may be able to pack less in it and squeeze it to the required size. The reverse is also true though. It is possible to overfill most packs past their stated dimensions, particularly on the depth, so keep this in mind when packing. Take account of what the pack weighs empty as carry on weight allowances can be quite mean, so every kilo counts. Having said that, I have only ever been asked to weigh my hand luggage once, but it helps to be prepared. Weight allowances also differ by airline so check before you fly. 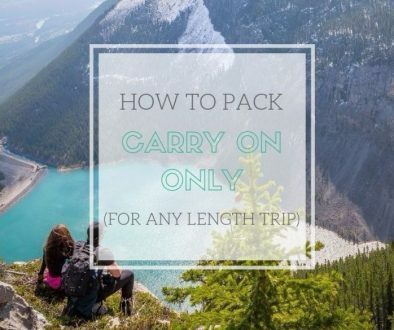 In any case, you will need to be able to lift your pack into the overhead compartment unassisted, so no matter what your pack weighs, make sure you are able to lift it above your head. Extra handles on the top and side of the pack can make this easier. A travel backpack should be front loading as opposed to the top loading style traditionally found on hiking and camping backpacks. This means that you can open it all the way round and pack it like a suitcase. It also makes finding things much easier once your bag is packed rather than having to pull everything out to find something at the bottom, like you would with a top loading pack. A well thought out travel backpack should have several compartments and pockets to make organising your belongings as easy as possible. This is especially important if you will be travelling for longer periods of time and essentially living out of your backpack. 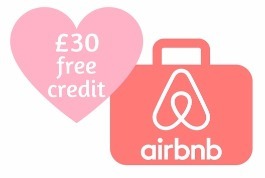 If you will be travelling with your laptop, look for a pack with a padded laptop pocket. Make sure that it is easily accessible so that you can remove your laptop to go through airport security without too much effort. A pocket on the outside of the pack to keep items like your passport and boarding pass handy is also a plus. For security, look for zips that can be locked together with a padlock to secure each compartment. While you may not deter a determined thief, most thefts are opportunistic in nature and the presence of padlocks may save you from the hassle and stress of having any of your belongings stolen. Fabric and zips should be tough and durable. Be aware of heavier materials affecting the weight of the bag when empty. A strong, ripstop nylon is a good compromise between weight and durability. If you plan on carrying your backpack any distance, make sure that it has adequate padding on the shoulder harness and hip belt. You should also make sure that the pack fits you well. When you have narrowed down your selection, it is important to try the pack on with some weight in it. This is where you will really notice how comfortably the pack distributes weight across your back, shoulders, and hips. Some travel backpacks come in different sizes to achieve a good fit. Most of the weight should be carried on your hip with the padded hip belt just hugging the top of your hipbones. You should be able to adjust the shoulder harness so that the shoulders are not bearing any significant weight. What do you look for in a carry on backpack? 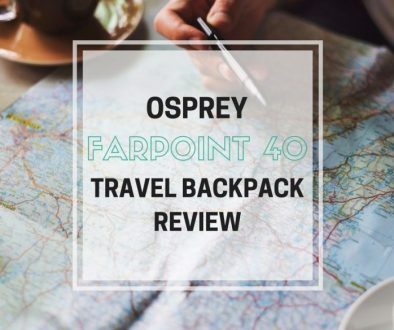 I personally travel with, and love, the Osprey Farpoint 40 because it ticks all of the boxes above and looks good too. Do you have any other priorities or tips when choosing a carry on backpack? Let everyone know in the comments.